Physicists of Julius-Maximilians-Universität Würzburg (JMU) in Bavaria, Germany, with colleagues from the Technion in Haifa, Israel, and Nanyang Technological University in Singapore now report their discovery in the journal Nature. 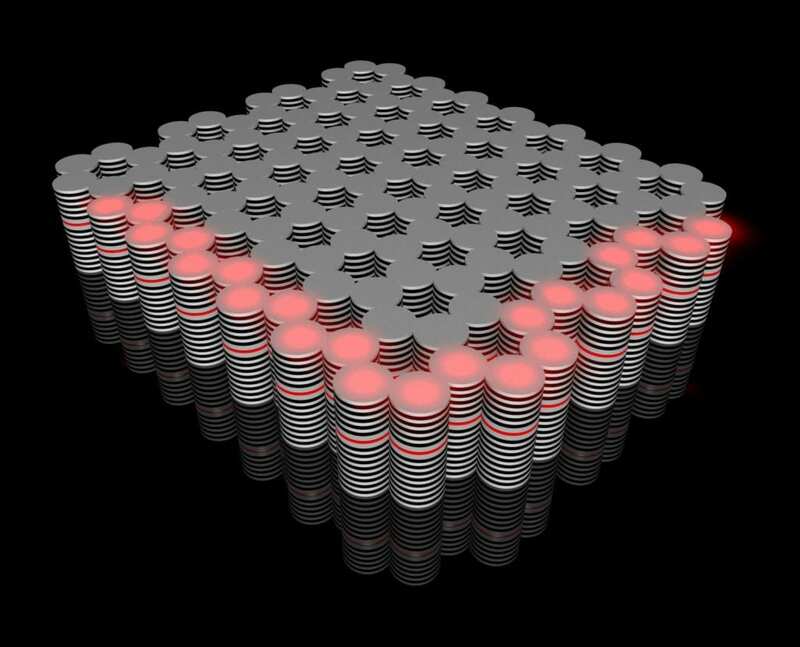 For the first time, the team has successfully built a topological insulator operating with both light and electronic excitations simultaneously, called an "exciton-polariton topological insulator". This research success of Höfling's team shows once more that the University of Würzburg's Institute of Physics is a leading center of topological insulator research. In 2007, JMU Professor of Physics, Laurens Molenkamp, pioneered the field by experimentally building the world's first topologically insulator. The Würzburg physicists' excellence in this field was again recognized recently in September 2018 with the awarding of a grant for the Excellence Cluster "Complexity and Topology in Quantum Materials" within the scope of the German "Excellence Strategy" competition. The Technion scientists have complementary expertise: it is the group of Mordechai (Moti) Segev which has demonstrated the first photonic topological insulator, back in 2013, and launched the field of "Topological Photonics". The groups have now joined forces to demonstrate this first symbiotic light-matter topological insulator, which holds great promise both as a fundamental discovery and by opening the door for exiting applications in optoelectronics.